Dog arrested for mauling 8-day-old baby to death – Royal Times of Nigeria. 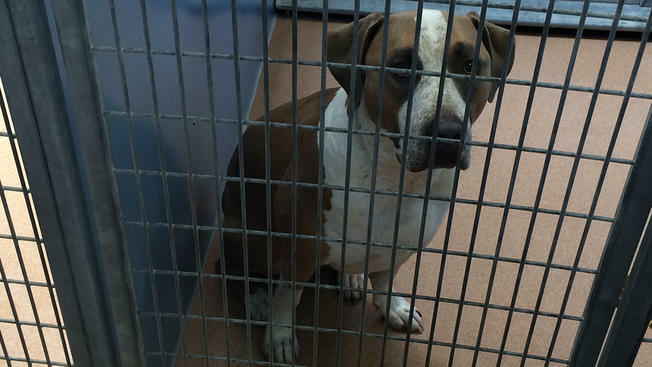 The Lee County Animal Control has detained a family dog after it mauled an 8-day-old baby to death in its Virginia home. Reports say no charges have been filed so far and the child’s name has not been released. Sheriff Gary Parsons of Lee County told WJHL-TV that the dog which appeared to be a mixed breed would likely be killed at some point but that it was presently in their custody. The baby with two other older siblings was mauled in her bassinet inside her home on Wednesday. The baby had extensive injuries to the upper part of her body and died at a Knoxville medical center. She was initially taken to Lonesome Pine Hospital, then Holston Valley Medical Center and then to UT Medical Center in Knoxville where she eventually died.